We strive to make sure our patients are happy with the function and appearance of their smile. Dental fears? No problem! We see patients from 1-101 years old and do a wide range of treatments to keep our patients mouths healthy. Restorative work such as, fillings, implants, dentures, oral surgery, crowns and bridges. We specialize in cosmetic work, veneers, teeth whitening and minor orthodontics. 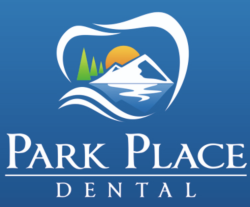 We also have preventative work including toddlers first dental visit, kid cleanings, adult cleanings, periodontal deep cleaning, velscope oral cancer screening exam, fluoride treatments, digital x-ray and intraoral camera technology. Give us a call today at (206) 546-4109 to schedule your visit! Excellent service as always. I've been going to this office for 10+ years and have always found everyone to be polite, courteous and knowledgeable. It's great they offer a senior citizens discount plan . As always Heather is the best hygienist ever! I highly recommend this office. Always loving, caring, patient and so thorough! We all love Doctor Storer and his entire team! I appreciate that I can get an appointment that works around my very busy schedule. Love the hygienists there. Always friendly and ready to be very personal and professional. Of course, Dr. Storer is one of the best around.